You value KCUR's outstanding news and programs. You can help sustain KCUR well into the future with planned giving. Planned giving is about finding smart ways to enable you to make significant contrubutions to the causes you care about. Planned giving is for everyone, regardless of your age, income level or assets. Planned giving strategies can be tailored to meet a broad range of goals and circumstances. It's easy to include KCUR in your will or trust. You can make a bequest as large or as small as you desire. And you may want to designate a percentage of your estate for KCUR. You may set up a trust in your will to educate your grandchildren and, only after their educational needs are met, will the trust benefit KCUR. 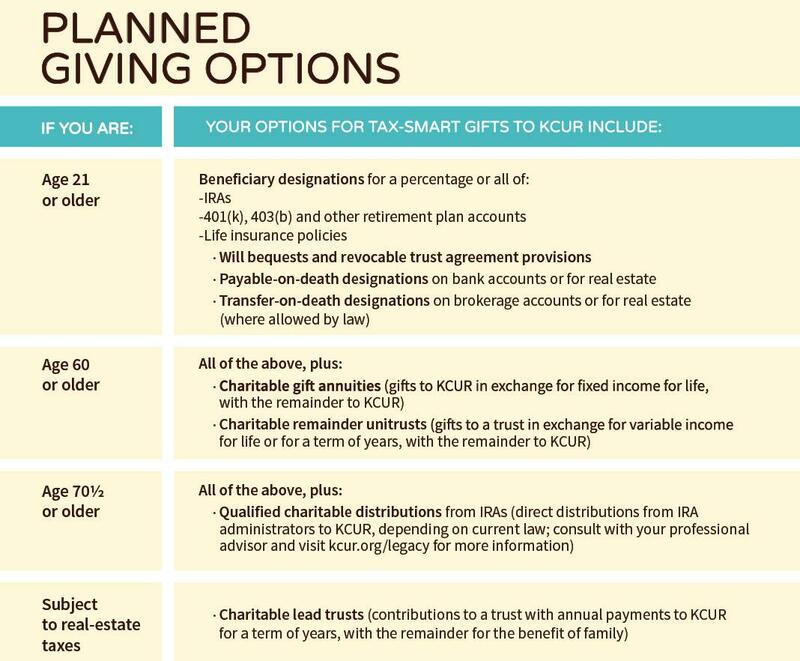 If you would like more information or if you would like an appointment to discuss planned giving to KCUR, please call Danny Baker at 816- 235-2861 or email him at danny@kcur.org.